At the site of the Gripsholm Distillery in the Lake Malaren district in Sweden, organic vodka had been crafted since 1580 when the first distillery was founded as a complement to the core business of producing cannons. At the end of the 18th century, the distillery was forced to close down when the Swedish King monopolized all spirits production. 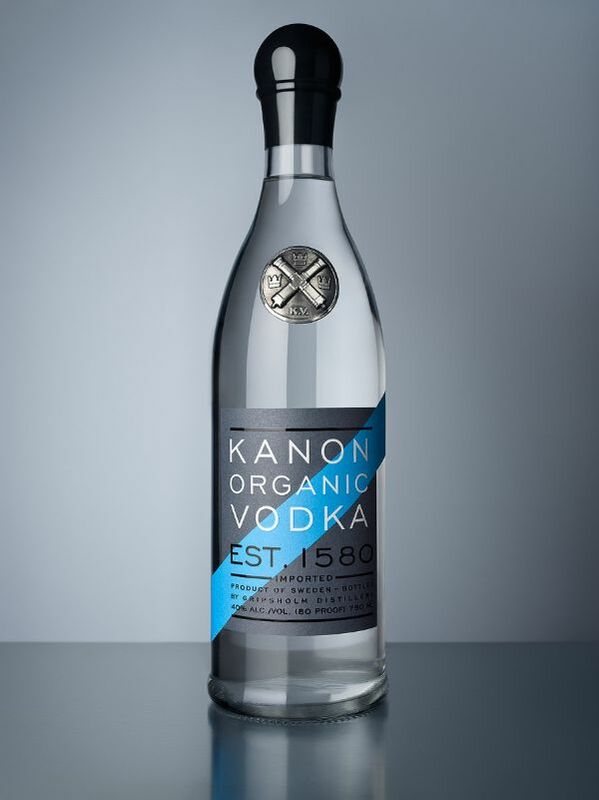 It was not until two hundred years later that a change in the law enabled the owner of the cannon factory, the Hjelm Family, to re-ignite the old traditions with a modern, organic certified distillery, to produce the Kanon Organic Vodka. We distill with extreme precision and divide each batch into three parts; the heads, the hearts and the tails. The heads and tails, are recycled into bio-fuel. We only use the heart which is pure ethanol. We mix it with water and bottle. That’s it! Not additives, no sugar – just the full taste of organic wheat and artesian well water. The taste and character of vodka, normally lost in the subsequent distillations, are thereby maintained in perfect balance with no burn. *Pure heart – We never bottle any part of our heads and tails, ever.